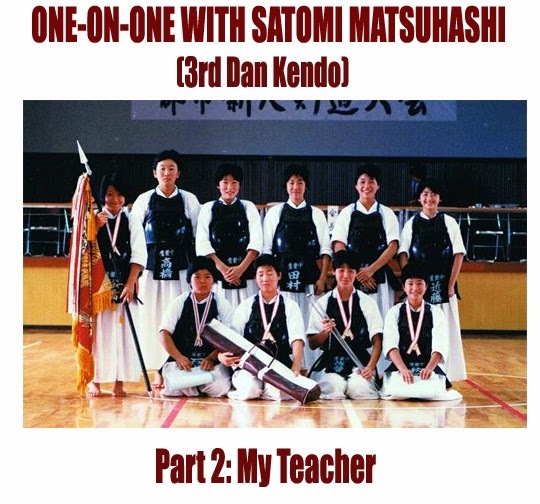 The following article is the second part of an interview with Satomi Matsuhashi (3rd dan kendo). In this article, Ms. Matsuhashi talks about special moments with her kendo teacher. Photo above: Matsuhashi senshu (as senpō) with her team-mates after winning the Gunshi Shinjin Kendo Taikai (District Kendo Championship). Matsuhashi senshu is holding the championship flag (i.e., pennant in North America), which the team would take back to their school. The girls with the medals are the 1st team members. Question: What kind of person was your teacher? Matsuhashi: He was extremely strict. His eyes were on me all the time. After that first kendo tournament, he was always watching me. Matsuhashi: I didn’t like it. It was unbearable. And in the club, he constantly challenged me. 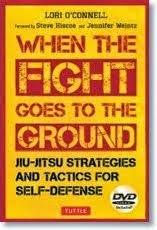 For example, trying to teach me new waza (techniques). The way he was teaching me was so intense that I was in pain everyday. And he demanded that I master them. He didn’t ask. He demanded. And for a person like me who had never achieved anything in my life, to try to meet his high expectations was unbearable. So the pressure on me from the teacher and the sempai, all the expectations, were more than I can explain. Question: Was this a good thing or a bad thing? Matsuhashi: Well, we lost a tournament shortly after that, and a few of the skilled girls and myself were kept back at the dojo for more training, while the others went home. He did very intense training, individual keiko, with each of us. For the other girls that were there, he did maybe 10 minutes of individual keiko. But for me, it was 45 minutes. I hated those days and I hated my teacher. However, surprisingly, when he gave me advice at a tournament or championship, I had absolute trust in him. For example, before a match, he would coach me by saying things like, “try this or this.” I had total trust in his advice. The other students saw this and they told me later that they felt sorry for me. 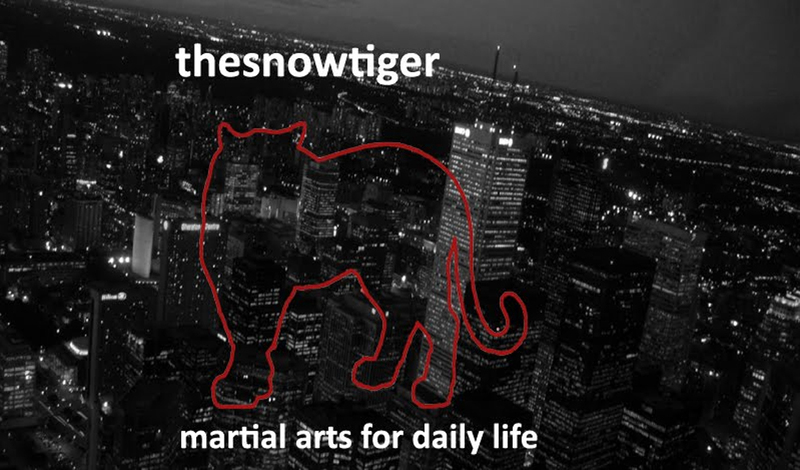 But the way he trained me did not change for 3 years. But now that I think back on it, I think those 3 years made the foundation of who I am today. Question: Is there a special moment that you remember? Matsuhashi: When I was in the second grade of junior high school, I hit a plateau badly. I lost so many matches as senpō*, which I was not supposed to do. I was completely useless at that time. 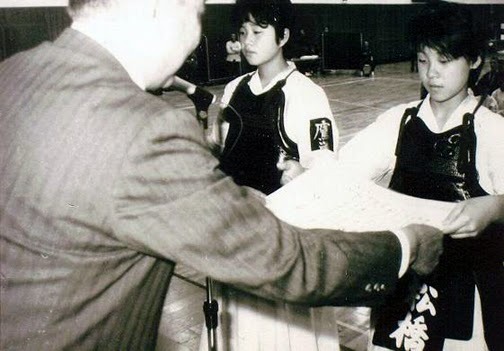 (Matsuhashi senshu (as senpō) receiving shōjō (certificate) for her team’s 2nd place finish from the taikai kaichō (tournament chairman) at the Akita-ken Chūgakkō Kendo Taikai (Akita Prefectural Junior High School Kendo Championship; the provincial tournament). Matsuhashi: It was very hard to accept. I really wanted to be a good captain for the team but I wasn’t. So it was an extremely painful moment. Question: So why is this moment significant? Matsuhashi: Because he could have easily replaced me. As I said, there were 10 other girls. He could have kicked me out but he did not. He did not give up on me. But, of course, at 14 years old, I did not see it that way at that very moment. But I did later, on reflection, and I cannot thank him enough for not giving up on me. Having that moment, knowing he did not give up on me, made me stronger as a person. And this has helped me to be able to face life’s challenges. He did not replace me. He could have chosen another senpō, but he didn’t. Matsuhashi senshu competed individually and as part of the school team in the Akita-ken Chūgakkō Kendo Taikai (The All Akita Prefectural Junior High School Kendo Championships; a state or provincial tournament). In one year, they placed second and she was the captain of the team. She also competed individually and as part of the school team at the Tohoku Chūgakkō Kendo Taikai (The Tohoku Regional Junior High School Kendo Championships), which is a regional championship covering 6 prefectures: Aomori, Akita, Fukushima, Iwate, Miyagi and Yamagata prefectures. In Canada, it would be akin to competing in a regional championship involving winners and finalists from 6 provinces. You have to be at a very high-level to qualify and be eligible to participate in this tournament. This tournament is one step down from the national championship. Coming in second at the provincials qualified them to compete at the regionals. They did not advance past the regionals. Winners and finalists of the various regional championships (in Ms. Matsuhashi’s case, the Tohoku Regional Junior High School Kendo Championship) are eligible to compete at the Zen Nippon Chūgakkō Kendo Taikai (The All Japan Junior High School Kendo Championships), the nationals. Ms. Matsuhashi served as the captain of the kendo team for many years, known in Japanese as “senpō”. The senpō is expected to fight the first bout and to win it. For Japanese kendoists, they view the senpō as the “fire” of the team: fierce, strong, powerful, fiery. The senpō is the leader of the team and is expected to lead the team to victory through their example. They set the pace they set the tone, and they set the attitude for the team in the tournament. As captain, the senpō must also keep the team together, keep them unified, encourage them, and provide leadership, and on top of all that, also be the “top gun” of the team. It is a glorified position but also one that carries heavy pressure and heavy responsibility. COMING SOON - PART THREE OF THIS EXCELLENT INTERVIEW!